Many women believe that thick and long hair makes them more appealing. Unfortunately, in modern life, hair often suffers, becomes fragile and lifeless. Many factors can severely worsen the condition of the hair. Among them are Unhealthy diet, Stress, Thyroid Problems, Different Types of Alopecia. 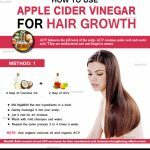 If it seems to you that the purchased products in the market but it do not work and you do not see the result, we have good news for you: there is an easy way to restore hair naturally with the help of natural oils. 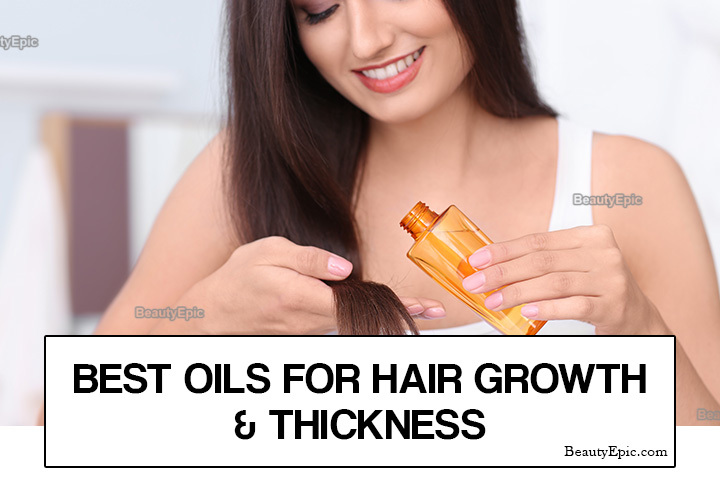 How to Use These Oils to Stimulate Hair Growth? 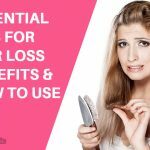 Some natural oils have unique properties that can work a miracle on your hair. 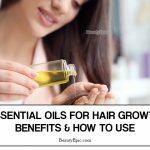 In this article, we will tell you about some best oils that will help you significantly improve the health of your hair. Since ancient times, women have used coconut oil for hair care. It was the secret of their beauty, and their hair became lush, healthy and shiny. Its chemical composition nourishes the hair follicles. Lauric acid present in coconut oil is similar in composition to hair protein. For this reason, the hair perfectly absorbs it along its entire length, from the tips to the roots. Coconut oil stands out among other types of natural oils for several reasons. It is rich in vitamins K, E and iron and it contains natural antibacterial compounds such as lauric acid. Olive oil is very beneficial for our hair. The hormone dihydrotestosterone (DHT) contained in it strengthens the hair follicles, which helps to prevent baldness. Olive oil contains many antioxidants, stimulates natural hair growth, removes free radicals from the skin and nourishes the hair follicles and scalp with nutrients. 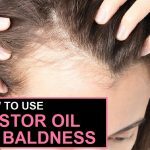 Castor oil can use as a natural laxative, but it is also very effective against hair loss.This oil is rich in ricinoleic acid and omega-9 fatty acids. Ricinoleic acid stimulates hair growth and has anti-fungal and antibacterial properties that protect the scalp from infections.The omega-9 fatty acids moisturize and nourish the hair and make more strong, thick and shiny. Lavender oil is known for its aroma, and it can use against stress, insomnia, and depression.It is an excellent remedy for baldness. The beneficial properties of lavender oil stimulate hair growth if used regularly.This oil is also a powerful antiseptic. Its disinfecting properties help to cure diseases of the scalp and fight against fungi, microbes, and viruses. Almond oil perfectly protects and moisturizes the hair.It is less widely used to stimulate hair growth but protects and activates the hair follicles, as they become stronger and less brittle and fragile.Scalp massage with almond oil helps to get rid of dead cells and relieves inflammation of the scalp.Almond oil is beneficial for treating seborrheic dermatitis.People who are allergic to nuts should use it carefully. Rosemary oil has miraculous properties and stimulates hair growth.It promotes the expansion of blood vessels and stimulates the formation of new cells, and also activates the hair follicles.Its disinfectant properties help to fight bacteria and other dangerous microorganisms that can harm hair and scalp.Also, this oil is excellent for the prevention of hair loss and the appearance of gray hair, as well as treats dandruff and moisturizes dry scalp. After that, wash your hair as usual. For a more effective treatment, try mixing different oils. Remember that regular use of oils for hair care can work wonders. They not only stimulate hair growth but also prevent scalp problems. To achieve the best results do not forget to apply organic oils to your hair. Many women believe that thick and long hair makes them more appealing. Unfortunately, in modern life, hair often suffers, becomes fragile and lifeless.